There are so many incredible people that donate their time to our hospital on a regular basis. One of these such people is Judith Alberta Christie. She currently volunteers in the emergency room and is coming up on her fourth year with the hospital in September. Judith is 90 years old and still remains very active in her community, along with volunteering she also bowls, does yoga and square dances, essentially there’s something going on every day in Judith’s life. Keeping as active as Judith may seem hard, but she is no stranger to work. She grew up as an only child and formed her own livelihood working on the farm, milking cows, working with machines, and is a strong believer in hard work. In her younger years she dreamed about having a career that allowed her to make a difference in the lives of others such as working as a nurse or an EMT. However, due to her circumstances this was simply not possible. Impossible didn’t stop Judith, she was determined to have a job that let her help other, and when she was about 40 she got her first experience in health care at Alberta hospital. She worked in the kitchen and in housekeeping right up until she retired at 65. Retirement hasn’t slowed Judith down at all and her position in the hospital’s ER is just one example of this. 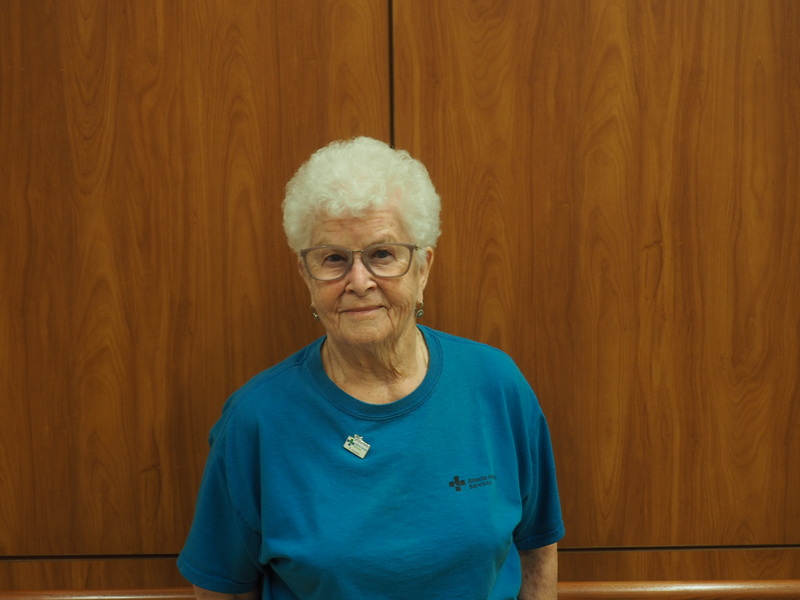 Despite the work, Judith continues to volunteer because doing simple things that show kindness like making patients toast, getting them a glass of water, or even just stopping and having a chat makes it worthwhile for her because she knows it goes a long way in in the lives of those who have to visit to the ER. Next time you see Judith’s smiling face in the ER, be sure to say hello and let her know what an inspiration she is to all of us. If you would like to follow in Judith’s footsteps and give back to the community through volunteering, click here.